THE early years of the 1990s don’t hold the happiest of memories for Charlie Redmond. Even now, over two decades on, it is a struggle to escape them. Previously it was RTE’s Reeling in the Years and All-Ireland Gold on TG4 that invoked a swift search for the TV remote before eirSport also got in on the act, showing classic games from days gone by. These are no glorified highlights packages either; it’s the whole lot in its full glory, the drama frozen in time from a HD-free world, there to be chewed over, sworn at and relived - warts, missed penalties and all. 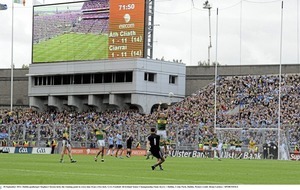 The last of the four-game marathon with Meath in 1991 got an airing around the end of June, with Dublin’s 1992 All-Ireland final reversal against Donegal following a fortnight later. All Redmond needs now is the devastating ‘94 decider defeat to Down to pop up on the planner and complete the set. There is one he might not mind them showing though. Coming into the 1995 Championship, lives were quickly running out for that particular Dublin group. Give or take two or three players, the men who had gone to war with their Royal rivals four summers previous were still providing the backbone as another campaign loomed. But they weren’t getting any younger and, even then, Redmond had been there longer than most. 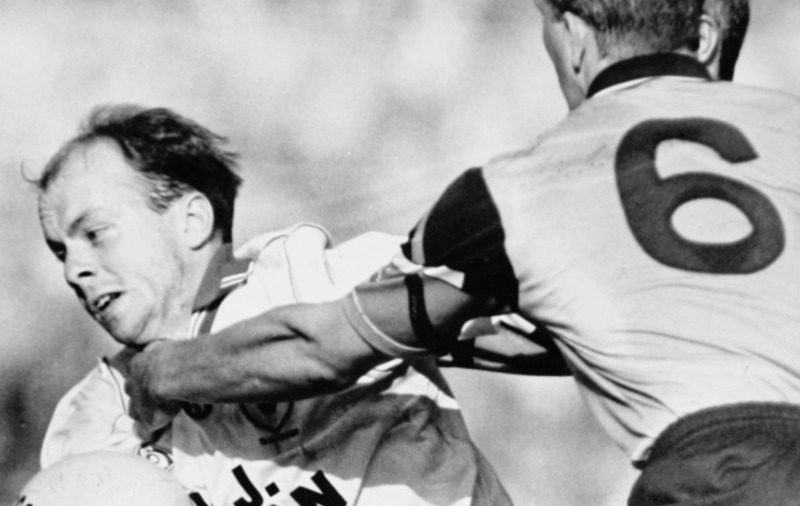 Coming into ’95 he had six Leinster titles to his name but no Sam –not one he could claim any part in, at least. Spurned spot-kicks from his right boot had played their part in ’92 and ’94 heartache, but early ‘80s fashion gets the blame for him not getting on the field in the famous 1983 All-Ireland final. With three men already sent to the line in an ill-tempered affair with Galway, Dublin’s ‘12 apostles’ looked set to lose another key man when Barney Rock went down injured with six minutes on the clock. Kevin Heffernan signalled for Redmond to get ready. In his haste, the 20-year-old lost a battle with his bottoms that kept him on the bench. “There was elastic around the bottom of the tracksuit and for whatever reason I couldn’t get them off. The harder I tried the worse it got and, before you knew it, the moment had passed. Fast forward 12 years and Redmond was still waiting top land the big one. The 32-year-old firefighter provided the muscle and hard running in the full-forward line as Dr Pat O’Neill’s Dublin side – which included current boss Jim Gavin at wing-forward – safely negotiated the heavy terrain of Leinster. 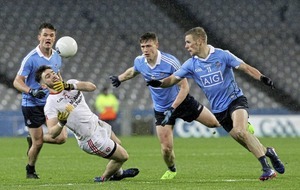 And when a fading Cork side were edged out in the last four, Dublin faced up to the prospect of a third All-Ireland final showdown against Ulster opposition in the space of four years. 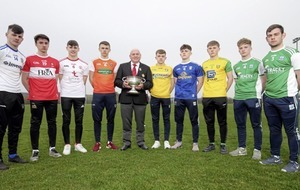 It was Tyrone who lay in wait this time, Art McRory and Eugene McKenna’s Red Hands the latest coming force from the province Sam Maguire had called home for much of the decade to date. The scars of Dublin’s past losses couldn’t be covered up, the thought of another day to forget on the greatest stage of all surely too much to countenance. “It does leave a mark on you,” admits Redmond. “Any All-Ireland final defeat leaves a mark on you. “If you ask people individually, they might say they thought it would never come for us, that it would never be your day, that you’d never get to walk up the steps of the Hogan Stand, but we never discussed it collectively. If anybody thought that, they kept it to themselves. “You could never give that impression outwardly and if anybody had said to me they were thinking that way, I’d have had a go at them. “But listen, I was probably the deepest one of all on the team. I’d have blamed myself for everything that happened, even at times when it wasn’t my fault. I’m sure I wasn’t alone in that. “You can’t go round feeling sorry for yourselves, you just have to get going again because you realise there’s a lot of people depending on you. Despite being far less accustomed to Croke Park’s environs than their opponents, it was Tyrone who settled first, two frees from a 24-year-old Peter Canavan and a Jody Gormley point helping them into a three point lead. 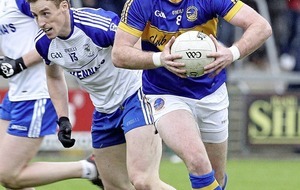 But the Dubs roared back and by the 25th minute led by a point. It was then that Charlie’s champagne moment arrived. A long ball from deep ricocheted fortuitously into the path of Jason Sherlock and he shaded the ensuing foot race with Seamus McCallen, poking a toe on to leather under the body of Finbar McConnell and in the direction of the gaping goal. The shot didn’t have the legs – luckily Redmond did. “It looked like it was going to make it over the line, so Paul Devlin was trying to get to the ball and I was busy holding him back. “Then, in a split second, both of us realised there was a spin on the ball and it wasn’t going to make it, so instead of me holding him back he’s then trying to hold me back and I’m holding him off. The failings of days gone by didn’t enter his thoughts for a second. This was no time for feelings of relief or backslapping after the penalty kick woes of previous years. “And the referee… what is he doing? He’s sending him off I think. GER Canning and Mick O’Dwyer in the RTE commentary box weren’t the only ones scratching their heads in the moments before and after Paddy Russell appeared to order Charlie Redmond from the field. A late tackle from Paul Devlin 13 minutes after the break, a flashpoint with Feargal Logan and a scuffle on the sideline all happened in the space of seconds. Logan came in late on a grounded Redmond and, not for the first time in his career, the red mist descended as he motioned with his head towards the Tyrone man. After consulting with linesman Willie O’Mahony, Russell raised his book, pointed to the line and Redmond was gone. And what happened next has become the stuff of GAA legend. Four minutes after Redmond received his marching orders, the Tipperary whistler noticed a broad-shouldered Dublin forward with a trademark teddy boy quiff and 13 on his back still on the field. Twenty-two years on, both men still tell different sides of the same story. “I ran at him [Logan] and I crashed into him, probably stupidly so. I threw my hands out at his shoulders. The ref came over and said I head-butted him and I said ‘I didn’t headbutt anyone’. “No, that never happened,” insists Russell, outlining his version of events. And when Russell spotted Redmond minutes later, he couldn’t believe his eyes. “He said he had and I said ‘Charlie is still on the field’. He looked over my shoulder and said ‘Jesus Paddy he is’. “I went over to Charlie and told him ‘you’re off’. Charlie said ‘please Paddy don’t send me off, it’s my last game’. I told him I couldn’t do anything about it. That’s all that was said. “I told him he was making a big mistake and tonight, when you’re watching the telly, you’ll realise what a big mistake you’re making,” says Redmond, taking up the story. A shake of the head, a few choice words from Paul Devlin on the way off, and Redmond departed the scene. And to avoid the ‘is he/isn’t he?’ farce ever raising its head again, the GAA introduced the red card the following year. “Some people down here call it the Redmond card instead,” laughed the three-time Allstar. CHARLIE Redmond may have finally exited stage left, but Russell still had a starring role to play in the game’s final, dramatic act. Deep into injury-time, with Dublin ahead by a single score, Tyrone captain Ciaran Corr pumped the ball in towards the small square. John O’Leary rose above Ciaran McBride to fist the ball clear but only as far as Peter Canavan lurking just inside the D.
The Errigal Ciaran magician lost his footing on the greasy surface, the only time he put a foot wrong all day, before flicking the ball in the direction of Sean McLaughlin who fired straight between the posts to level it up: Tyrone 0-13 Dublin 1-10. In the midst of the mayhem, though, Russell sounded his whistle and motioned that Canavan had scooped the ball off the ground. From delirium to despair. No point, no draw, no replay, no Sam. McLaughlin was halfway down the field before he realised. Even on the Dublin bench, confusion reigned. “I saw Paddy point a free out immediately, so I knew the point wasn’t going to count,” recalls Redmond, a nervous wreck watching from the line. 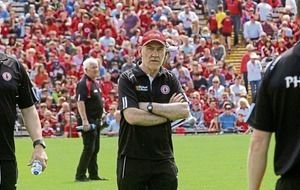 “It all happened in a split second,” says Russell, whose relationship with Dublin and Tyrone was reacquainted at 2006’s infamous ‘Battle of Omagh’. “As far as I was concerned, Canavan handled the ball on the ground and I blew a free straight away. Everybody would have been happy with the draw, but you do the right thing. 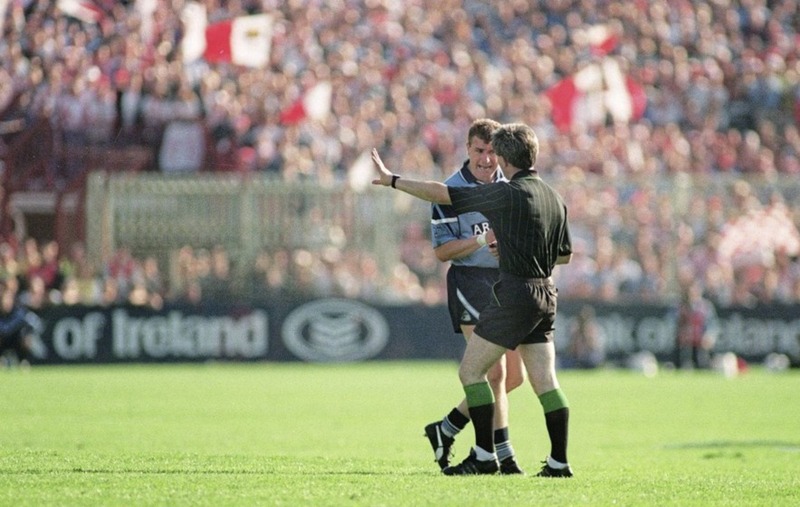 It remains a subject of huge debate to this day, with even some former Dublin players since admitting they felt the ball was slightly off the ground when Canavan made his connection. And Russell insists that, even after making such a contentious call, he has never been on the wrong end of any ill will from the O’Neill County. “I’d hate to do anybody any wrong,” he said. 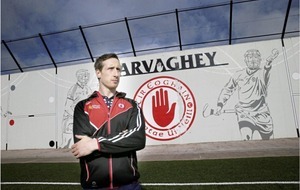 “As far as Dublin and Tyrone, it didn’t matter to me who won the game, I was refereeing it the way I saw fit. The Red Hands returned north to lick their wounds, their long wait for a first All-Ireland title ending in 2003 before two more followed in ’05 and ’08. But Sunday, September 17 1995 belonged to Dublin. For good and bad, Redmond can claim a major stake in that. Given how many times they had come close in the early part of the decade, it would have taken a heart of stone to deny that team deserved to land an All-Ireland title. Despite what he told Paddy Russell in the middle of the field, that wasn’t Redmond’s last game in Sky Blue, the curtain eventually coming down at the end of the 1997 campaign. A Celtic Cross in his back pocket, at last he could walk away a satisfied man. “The 1995 final could have gone either way. “We could’ve faded into history because we didn’t win those other games, the near misses we had.